The Finish Line – Hack Week #5 Awards and More! 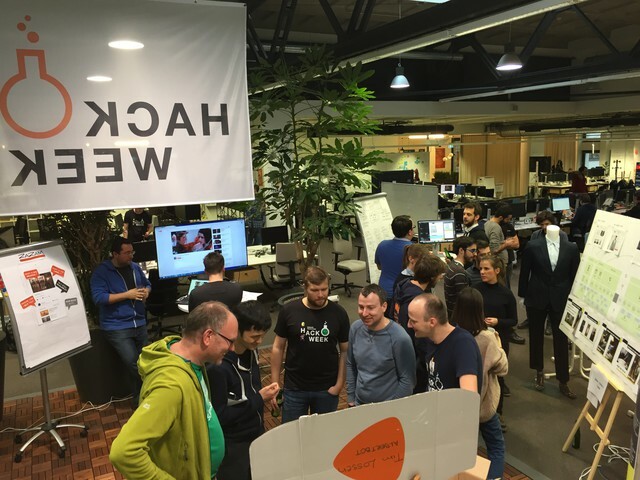 Our annual Hack Week has just wrapped up at Zalando, with over 100 projects being worked on across four tech hubs. We’ve had a generous amount of hardware, software, and knowledge-sharing ideas being brainstormed and experimented with – but which were worthy of our Hack Week accolades? Read on to find out. 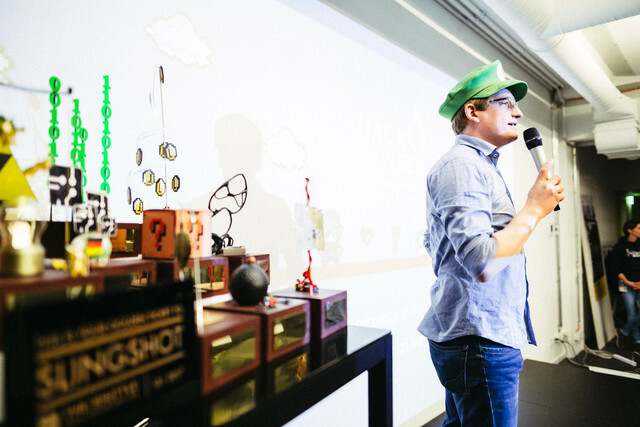 At the culmination of the week we held our Project Fair, where all Hack Week teams presented their work to the rest of the Zalando Tech community, showing off their product ideas and MVPs. 45 projects made it to the Project Fair stage, pitching their work to various jury members of our Hack Week awards team, as well as impressing their fellow employees. Once the Project Fair finished up, jury members had the chance to collect their thoughts and feedback – which projects impressed them most? Which teams provided the most impact? Drumroll please: Here are our Hack Week award winners! CUSTOMER JOY – Award for the project that solves an existing problem for our customers: Friendz & Fashion! A Tupperware-style party for Zalando items and customers, connecting them with stylists via the Zalando platform. DO. – Award for the project that increases corporate social responsibility: zBits! A better way for Zalando to track the way they do their bit by developing a digital currency for social good within the organization. INCLUSION NINJA AWARD – Award for the best inclusion-promoting project; a project that contributes to inclusion: Lunchies! An app allowing Zalandos to register and meet people they don’t know throughout our growing tech organization. The app matches you to other employees in your location with a proposed place, time, and food choices. EMPOWERMENT – Award for contributing positively to Zalando Tech's collective morale or well-being in the workplace: zMap! An app allowing anyone in Zalando to find the person they need in the right location, at the right time, by scanning QR codes to populate building maps. 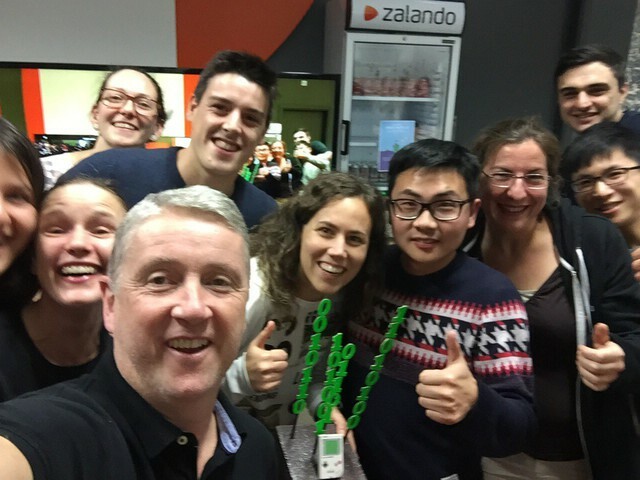 BSD 4.3 – Award for the best software coding project: DeepFried Zalando! Deep Learning mixing of images and text, using data from Instagram, blogs, and magazines to generate a map of fashion terms and relations, on top of automatic content production from textual data. QUICK WIN – Award for finding the low hanging fruit; awarded to an achievable project: Zally! Making APIs compliant within Zalando Tech by automating the review process. MARS ROVER – Award for the best system/hardware prototyping project: The Zalando Home Button! A push notice button to get your Zalando packages delivered at a time convenient to you, utilizing local parcel buffering and some handy hardware. KASPAROV – Award for best contribution to Zalando's objectives: Vitrine! Untapping the potential of outfits at Zalando via a playful iOS app, combining the power of machine learning and analytic databases to generate outfits in real-time. DUKE NUKEM FOREVER – Awarded for the most glorious or spectacular fail after raising great expectations: NO ONE! None of our projects failed spectacularly – something to be proud of. The most anticipating award is no doubt the Golden Ticket to our Slingshot entrepreneurial program: Projects ideal for customers, utilizing our tech capabilities, and consisting of a strong team are eligible. And the winners are… Friendz & Fashion, Fashion Sprinter, Order-A-Tailor, and The Zalando Home Button. These projects will be given extended time, more resources, and have help from our dedicated Innovation Lab team to be worked on throughout the next quarter. We’ll be sure to follow their progress. A massive congratulations to all of our teams and techies for an inspiring and innovative Hack Week this year. Keep your eyes peeled to the blog in the New Year for some great video footage we’re currently putting together – we promise it’ll be worth the wait.